Research It. Value It. Start Now. More than 425 million "sold for" prices with the item details and images. WorthPoint Makes It Easy to Find Out. Our award-winning Worthopedia™ – the ultimate online price guide with more than 425 million “sold for” prices with item details and images. WorthPoint Digital Library – a collection of more than 4,600 articles and 1,000 books written by category experts. The WorthPoint Insider eNewsLetter brings a collection of current, and relevant news and articles about antiques, collecting and what’s trending to your inbox every week. 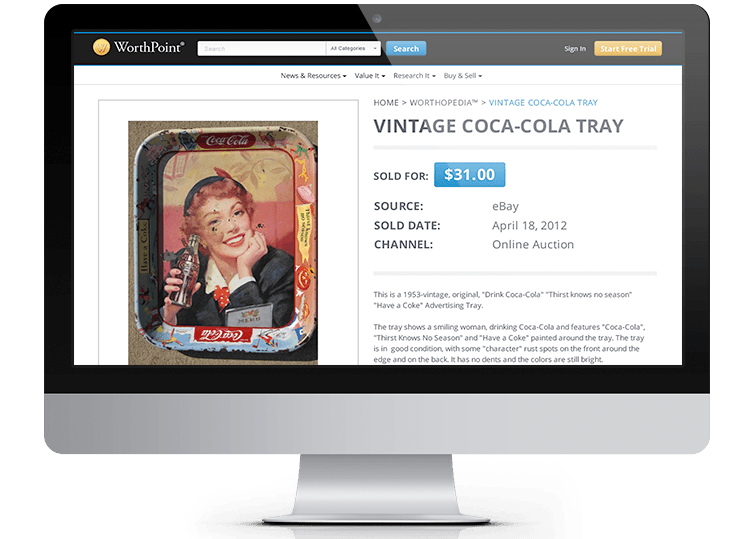 Our WorthPoint App, available on your mobile device, allows you to value items on-the-go and locate local antique events, auctions and estate sales. 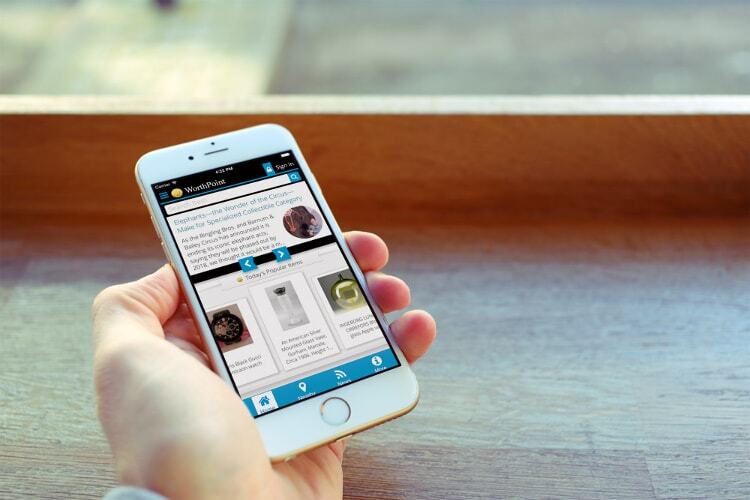 Easily access and search the Worthopedia and stay up-to-date with access to the latest news. Find It. Value It. Price It.